DECA - the DEscent CAmera on Schiaparelli, the ExoMars 2016 entry, descent and landing demonstrator module - will reach the surface of Mars and for this reason it has to be properly cleaned to meet planetary protection requirements. 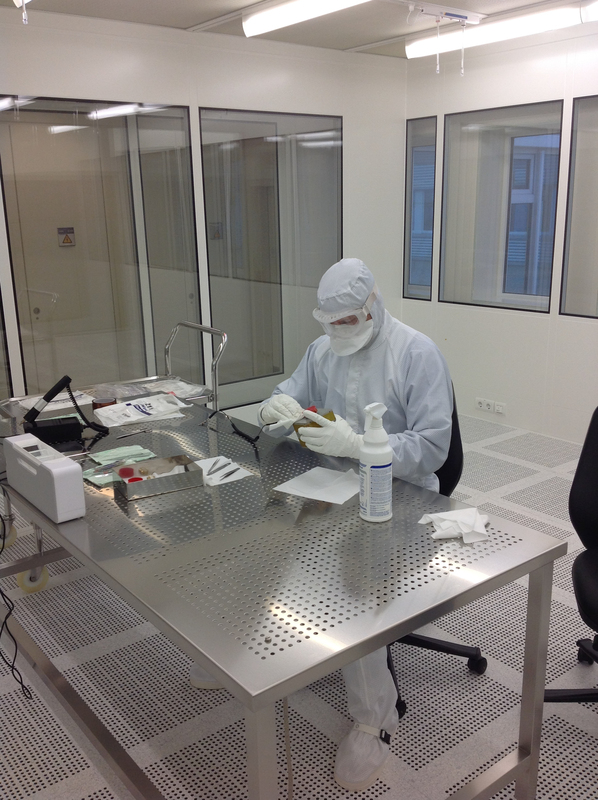 This image shows a technician cleaning the camera in a cleanroom at the European Space Research and Technology Centre (ESTEC) in the Netherlands. DECA is the box in the technician's hand. The red item on the box is a lens protector, which will be removed before flight.